This paper proposes an extension to the “LLN On-demand Ad hoc Distance-vector Routing Protocol – Next Generation” (LOADng), for efficient construction of a collection tree for data acquisition in sensor networks. The extension uses the mechanisms from LOADng, imposes minimal overhead and complexity, and enables a deployment to efficiently support both “point-to-point” and “multipoint-to-point” traffic, avoiding complications of uni-directional links in the collection tree. 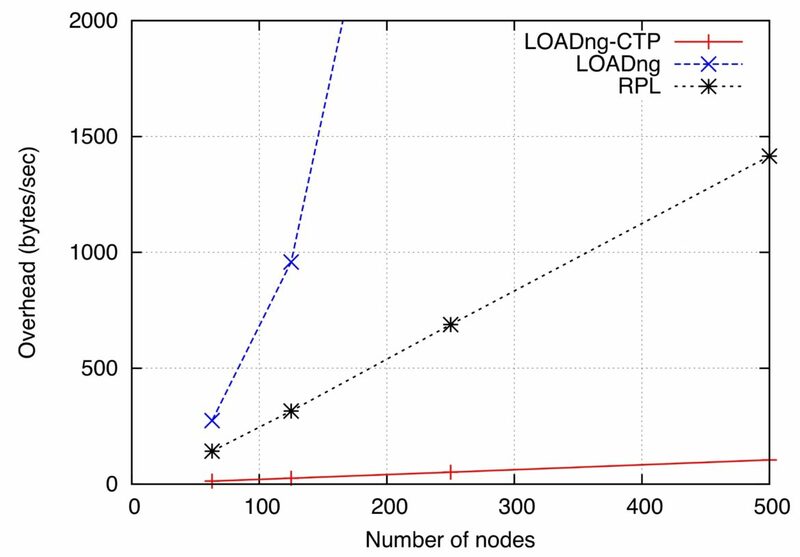 This paper further compares the performance of proposed pro-tocol extension to that of basic LOADng and to the protocol RPL (“IPv6 Routing Protocol for Low power and Lossy Networks”).